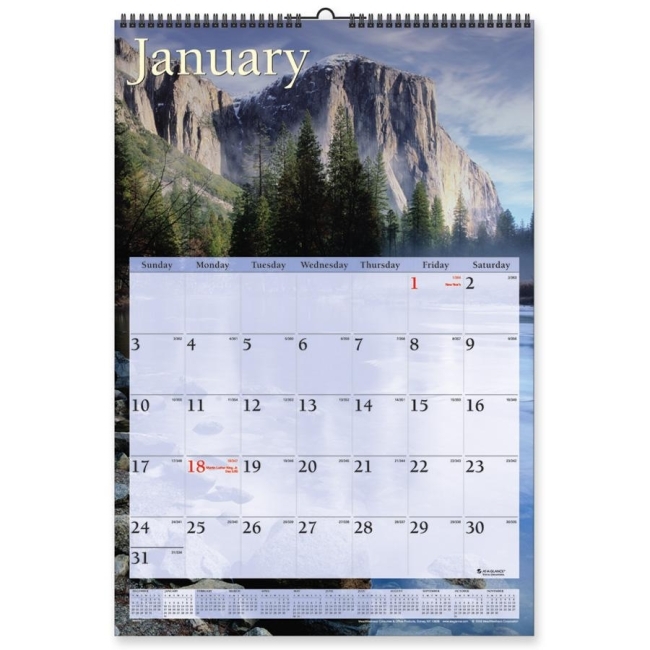 Visual Organizer DMW20028 Scenic Monthly Wall Calendar - 12" x 17"
Organize office events, meetings and appointments with this calendar that has scenic photos on every month. Wall calendar offers 12 months of planning from January to December. One-page-per-month format contains ample writing space for notes and comments along with monthly reference calendars with one past month, current month and 10 future months. Background design and color scheme coordinate with each image. Wall calendar includes full chipboard backer and bonus page with current yearly reference calendar in back. The white wire hanger and loop simplify hanging on walls or cubicles. Calendar is printed on quality recycled paper with 30 percent post-consumer material.